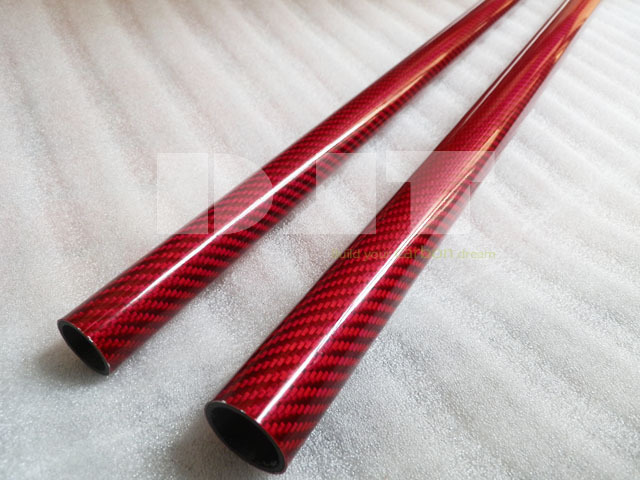 We make custom carbon fiber tubes in red, green and blue color. We have thousands of mandrels in the factory to make various carbon fiber tubes, please just email us the inside diameter, the wall thickness and the length you want, we will quote for you within 24 hours. We make custom carbon fiber tubes according to your request. We have significant experience to do bonding of tubes, the bonding between inner tubes and outer tubes, neither loose nor tight, we have a good control of this to make sure you can assemble long tubes of 7 meters or even 10 meters. We offer clear or color coating service to meet your project needs. As a factory in China, we have cost advantage in making carbon fiber products, and we make sure the same or better quality than factories in USA or UK, so why not choose us.